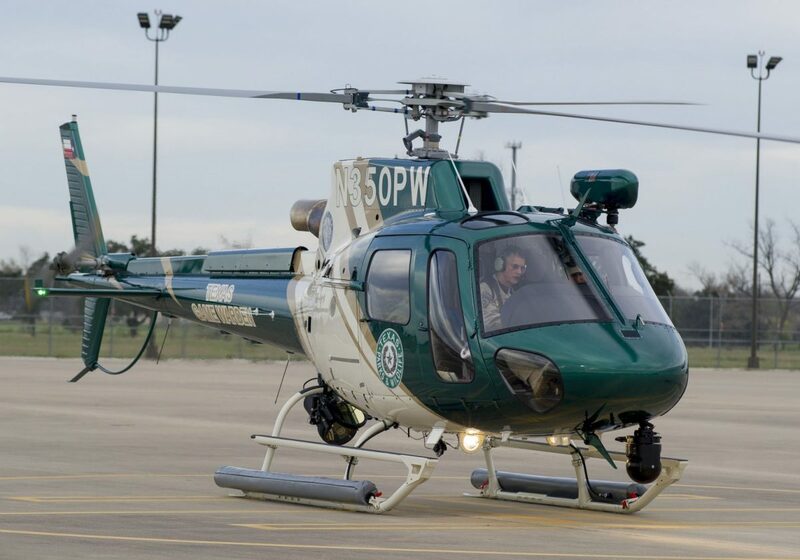 AUSTIN — The Texas Game Warden’s today unveiled its new Airbus AS350B3e helicopter that will enhance the department’s statewide law enforcement apparatus and assist with its search and rescue and disaster response efforts. The aircraft is outfitted with the latest law enforcement technology and emergency response equipment including a rescue hoist, thermal imager, searchlight, public address system, satellite communication and night vision. Funding for the new aircraft, which was approximately $5 million, was made possible through legislative appropriation during the 83rd Texas Legislative session. Among the new aircrafts advantages are its ability to carry additional game wardens including its K9 teams during remote search and rescue missions or other specially trained personnel for specific assignments. In addition to the new helicopter, the department also has a fixed wing 2009 Turbo Cessna Model 206 aircraft.